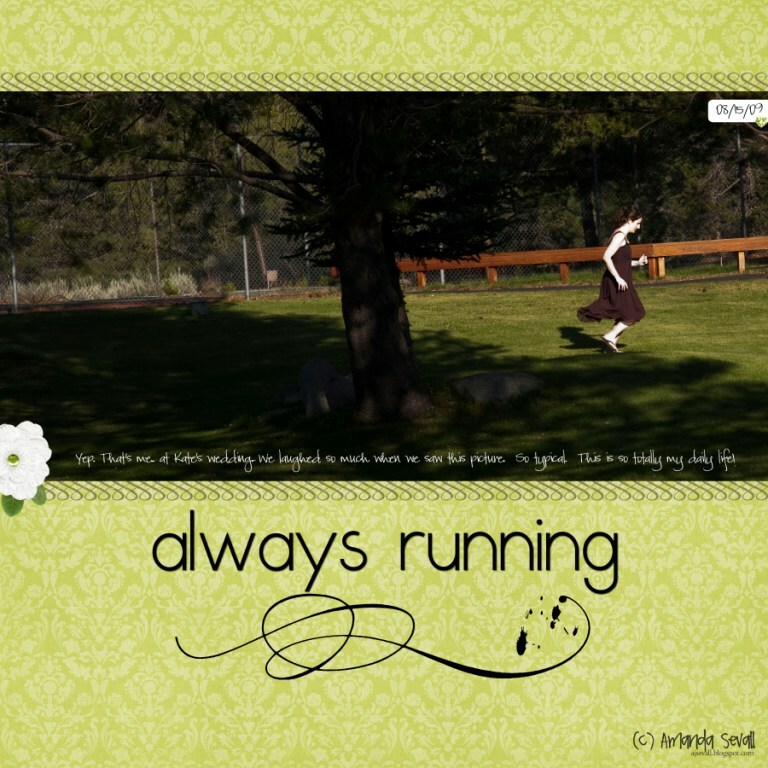 I'm always running. Literally and figuratively!! It was about time I acknowledged it in the form of a scrapbook page. Particularly given this hilarious photo captured by the photographer at my sister Katie's wedding (who was also our wedding photographer... and my brother's wedding photographer!!). Published on examiner.com on September 5, 2010. Love this post...it's so truthfull and perfect. ROFLOL Too funny! Yep. You are right. You'll be just like me and be meeting yourself coming and going. That layout is fabulous! This is so adorable. Love this photo of you. Just so cute. And, the page is perfect. I love it! Such a great way to capture you -and the craziness of a weddin day, too! I KNEW you sounded super uber busy...this just proves it! How you do it all, I'll never know.